Changer Arlington - Cherry Both functional and elegant, the Graco Changing Table features an extra deep surface for added security while changing your baby. A water-resistant changing pad and safety strap is included with purchase. The two large open shelves provide plenty of storage space for diapers, towels, and other supplies. 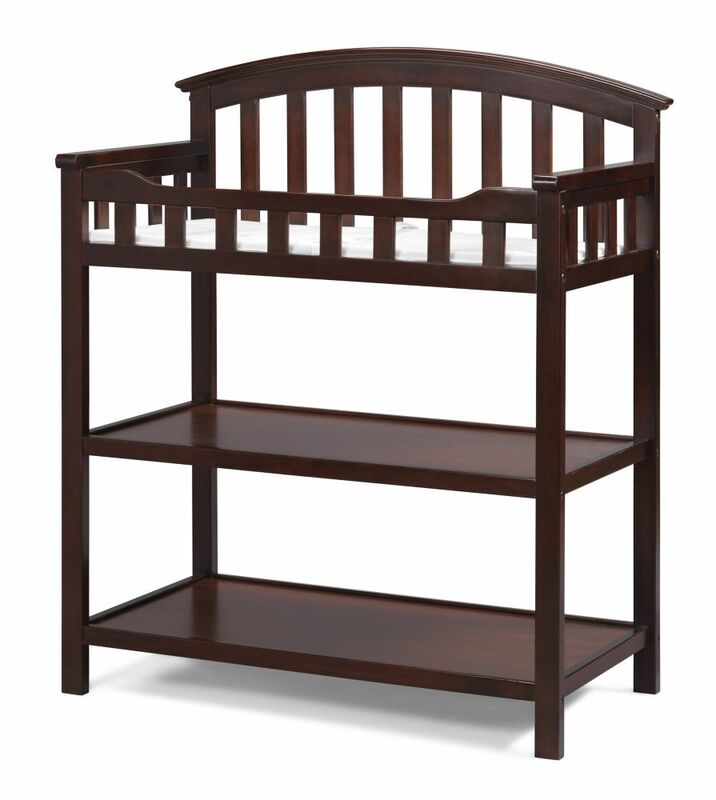 When your baby outgrows the changing table, use this piece as extra storage space for toys, teddy bears, and more.